It is no secret that huge conflicts of interest exist between vaccine promoters and vaccine makers. Once upon a time, before passage of the Bayh-Dole Act by Congress in 1980 and the push for lucrative “technology transfer” business arrangements between federal agencies and for-profit corporations, inventions developed with federal funding were owned by the U.S. Government and not industry. Development of the human papillomavirus (HPV) Gardasil and Cervarix vaccines is a case in point. Soon, aggressive domestic and overseas marketing of the expensive HPV vaccines began, even as the vaccines themselves got poor marks for both safety and effectiveness. There are better ways to spend the billions of dollars currently being spent on HPV vaccines. First, we already have a pretty terrific way to prevent most cervical cancer deaths, and it’s called the Pap smear. Since poor women are less likely to get Pap smears and more likely to die from cervical cancer, we could start by extending medical services to them. Second, many oral cancers are caused by smoking, and men and women who smoke are more likely to die of oral and cervical cancer, so we could invest in smoking cessation efforts. As HPV vaccine safety and efficacy problems persisted, the NIH acknowledged the vaccine was widely shunned by mothers of both boys and girls, adolescents and many in poor and ethnic communities. But that did not stop the NIH from continuing its subsidy of the vaccine industry with tax dollars, this time helping with actual marketing. Nor was that the only marketing grant NIH gave to the university to aggressively market HPV vaccines. It cautions providers to not miss “clinical opportunities to administer HPV vaccination,” which are defined as visits to a provider in which at least one other recommended adolescent vaccination is received but not the HPV vaccine. The NVAC also recommends “office strategies, such as reminder-recall systems and the distribution of information and educational materials from provider professional organizations” to sell the HPV vaccine to patients and suggests that pharmacists get involved. The NIH also gives money to drug companies making and marketing vaccines to simply improve their bottom line, government largesse that would be unthinkable in other industries. If private industry keeps the profits, why should government fund vaccine development and marketing operations? 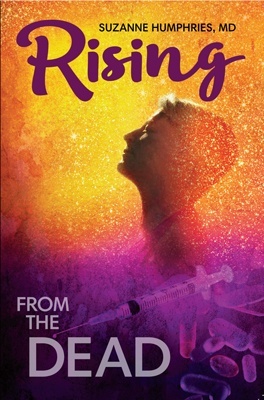 While the vaccine industry loves to present itself as “life saving,” addiction vaccines that target a defined population seem more like for-profit designer drugs than vaccines for preventing contagious diseases that affect the broader public. In funding the marketing of vaccines, improving vaccine makers’ bottom line and soliciting addiction vaccines, the NIH clearly is lavishing taxpayer dollars on an already very profitable vaccine industry. 1 Attkissson S. How Independent Are Vaccine Defenders? CBS News July 25, 2008. 2 Reuters. Former CDC head lands vaccine job at Merck. Dec. 21, 2009. 3 Rosenberg, M. Mental Health Inc. AlterNet Jan. 8, 2018. 4 Eggen D. Rick Perry and HPV vaccine maker have deep financial ties. The Washington Post Sept. 23, 2011. 5 The University of Arizona. Bayh-Dole Act & University Technology Transfer What’s it mean to me? Tech Launch Arizona Mar. 9, 2014. 6 Padmanabhan S, Armin T, Sampat B et al. Intellectual Property, Technology Transfer and Developing Country Manufacture of Low-cost HPV vaccines – A Case Study of India. Nature Biotechnology 2010; 28 (7): 671–678. 7 Joshi, PP, Roberts, L. Hann, D. NIH’s Role in Developing an HPV Vaccine: A Retrospective Analysis. Portfolio Analysis Poster Meeting. NIH Division of Program Coordination, Planning and Strategic Initiatives (DPCPSI) July 2014. 8 Sagonowsky E. GSK exits U.S. market with its HPV vaccine Cervarix. Oc. 21, 2016. 9 National Vaccine Information Center. 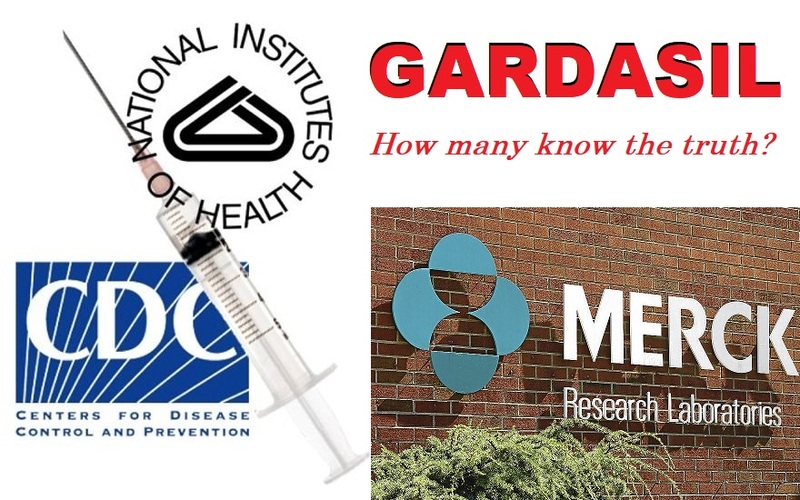 Merck’s Gardasil Vaccine Not Proven Safe for Little Girls. NVIC.org June 27, 2006. 10 Debold V, Fisher BL. Human Papillomavirus Vaccine Safety Analysis of Adverse Events Reporting System Reports: Adverse Reactions, Concerns and Implications. National Vaccine Information Center Feb. 1, 2007. 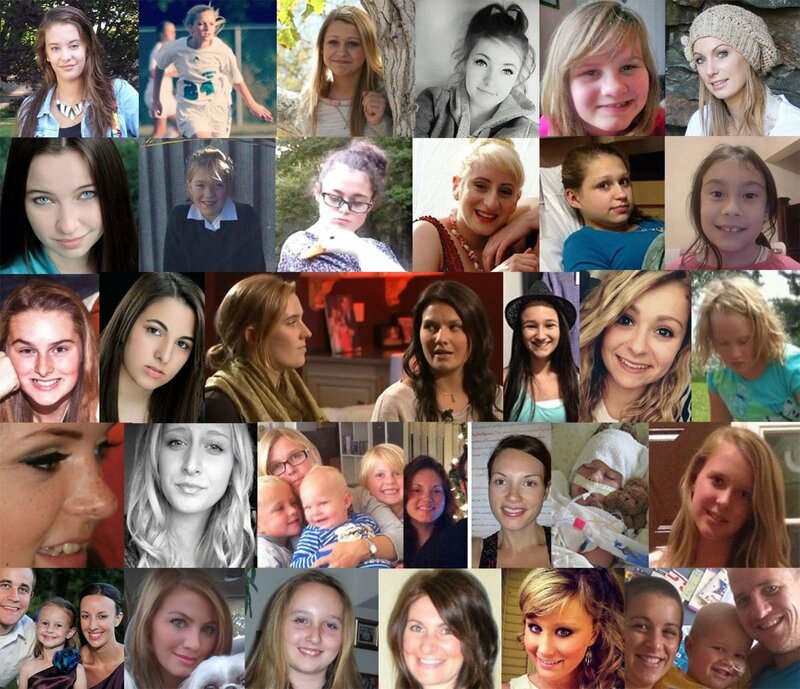 11 Lind, P. U.S. court pays $6 million to Gardasil victims. The Washington Times. December 31, 2014. 12 MedAlerts. The U.S. Government’s Vaccine Adverse Events Reporting System Database. MedAlerts.org. 13 Rosenberg, M. Where Is the Vaccine Safety Grey Area? Epoch Times. Jan. 27, 2017. 14 Lenzer, J. Should boys be given the HPV vaccine? Discover Magazine Nov. 14, 2011. 15 National Institutes of Health. NIH Grant: Developing a self-persuasion intervention promoting adolescent HPV vaccination. Grantome.com. 16 NIH. NIH Grant: Mother-daughter joint decision making to obtain the HPV vaccine. Grantome.com. 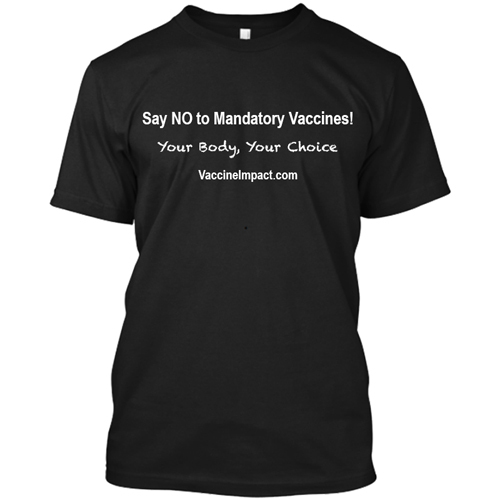 18 National Vaccine Advisory Committee. Overcoming Barriers to Low HPV Vaccine Uptake in the United States: Recommendations from the National Vaccine Advisory Committee. NCBI June 9, 2015. 19 Centers for Disease Control and Prevention. Four components of AFIX. CDC.gov. 20 NIH. NIH Grant: Task X3: manufacture and characterization services for vaccines and biologics. Grantome.com. 21 NIAID preclinical development support. Federal Reporter. 22 NIH. NIH Grant: Small molecule stimulators of innate immune receptors. Grantome.com. 23 NIH. NIH Grant: Novel anti-viral agents to treat influenza. Grantome.com. 24 NIH. NIH Grant: Novel TLR7/8 agonists as adjuvants for rapid-acting vaccines. Grantome.com. 25 NIH. NIH Grant: Development of a multimeric CD40 ligand vaccine adjuvant. Grantome.com. 27 NIH. NIH Grant: A methamphetamine conjugate vaccine: from manufacturing to IND. Grantome.com.